Give dad the perfect pick-me-up on Father's Day with this perfect pickup! 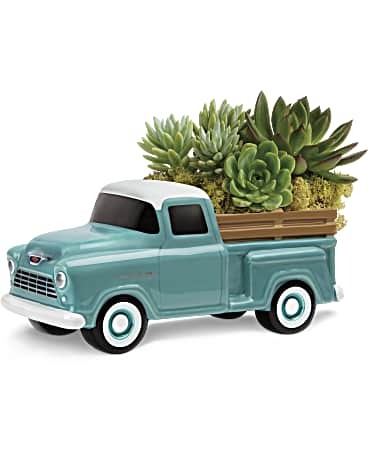 Hand-painted and hand-glazed, this ceramic Chevy hauls a beautiful bounty of artificial green succulent plants. 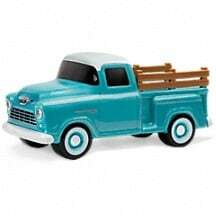 It's one of the ways we're commemorating the 100th Anniversary of Chevrolet Trucks!